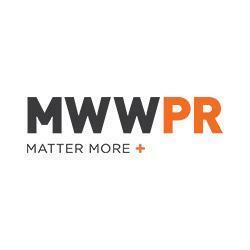 MWWPR is one of the world’s leading independent full-service PR agencies with eight offices across the US and the UK and a global network of partners. We are a team of 200 independent thinkers and doers who stop at nothing for our clients. MWWPR is a leading independent public relations agency that focuses on six distinct practice areas: Consumer, Technology, Corporate Communications, Public Affairs/Issues Management, LGBT, and Health and Wellness.